Solar energy – Sun power; Solar energy is energy powered by the sun – a renewable and abundant source of energy that has been powering life on earth for billions of years. Solar energy reaches the earth through solar radiation (sun rays) and once gathered it can be converted to other forms of energy such as thermal energy (heat) and electricity. Today solar energy systems are being used in a wide range of applications such as heating spaces in buildings, providing for electricity, heating of water, powering remote equipment, buildings and appliances, even used for cooking. 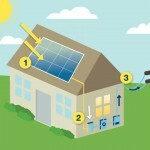 Using solar energy for Heat and electricity. - For providing hot water for use in homes, commercial or industrial buildings or swimming pools. - For generating electricity – solar energy is used to heat up a liquid which is stored at high temperature in thermal containers. The hot liquid is then used to generate steam and drive a steam turbine which turns an electric generator. Direct way: Solar Photovoltaic panels (solar cells) – Solar Photovoltaic panels convert sunlight directly into electricity by use of the photoelectric effect. The Photovoltaic (PV) panel may come in many forms and dimensions and with a variety of constituent solar cells (mono or policrystallic cells). PV panels can be used in a wide range of applications ranging from powering an electric device, to generating electricity for a house or at a larger scale for generating electricity on the power network through solar photovoltaic power plants. Indirect way: Solar Thermal Power generation (CSP) – Solar Thermal power plants – or Concentrated Solar Power plants (CSP) – generate electricity by gathering solar heat and storing it at high temperatures. 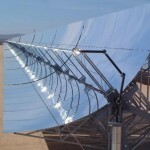 Special reflecting mirrors are used to concentrate solar radiation for heating up a liquid that is used to produce steam and drive a generator. Concentrated Solar Power (CSP) power plants are use at large scale applications for utility purposes; they are usually combined with Thermal Energy Storage technologies used to increase autonomy, reliability and efficiency of the power plant, thus provide electricity in a reliable way. Though CSP operate in a different mode than PV, the two technologies CSP and PV can be combined as complimentary in increasing the penetration of renewable technologies within the power generation mix. - Apart from remote rural areas, solar energy systems can also be placed easily in urban areas on buildings without impacting the environment. 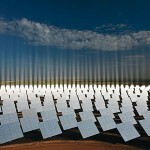 - Solar energy is abundant from nature and totally free! - The cost of Solar photovoltaic technology systems is on a diminishing trend, which means that Solar energy panels are becoming cheaper, yet accessible to more, as time passes. - PV systems can be easily installed and at low cost. 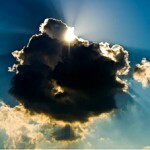 - The environmental impact from installing PV panels, especially on building rooftops is absolutely minimal. - As in the case of all renewable energy sources, Solar energy is not provided constantly, nor evenly but it is subject to climatic, morphological, environmental and vocational conditions; thus, supply of solar radiation cannot be stable throughout production periods – e.g. sun shines only during the day, solar radiation fluctuates with respect to location, time of year (summer – winter), time of day, weather conditions. - To gather solar radiation at a useful rate, it is usually required to install a large surface area of solar panels/collectors to compensate for variation of solar energy irradiance. - Fluctuating weather conditions greatly affect solar energy panels especially in a direct generation of PV panels. Rain, fog or passing clouds can have a significant effect on the performance of PV panels and can reduce their performance and efficiency levels. As already mentioned, solar energy is environmentally friendly as it does not produce any harmful gases into the atmosphere. To the contrary it helps reduce green house emissions and other harmful gasses produced from conventional energy generation. However, large solar power plants may have some indirect impact on the environment that may not necessarily relate to the operation mode of solar technologies but to the manufacturing stages of these systems. For example, manufacturing Photovoltaic cells, requires consumption of large quantities of energy and the use of some toxic materials such as cell chemicals, and solvents for producing the cells. Also, large scale solar power applications impact the environment by influence to the ecosystem; it is thau important that these power plants be properly managed.